Honda West | Articles | What’s the Best First Car for a Teenager? What’s the Best First Car for a Teenager? 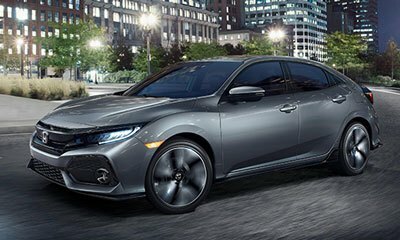 What makes the Honda Civic the Best First Car for a Teenager? Find a friend of yours and ask them what they think of when they think of a reliable vehicle; Chances are the first vehicle that will pop up in their head is – you guessed it – the Honda Civic. 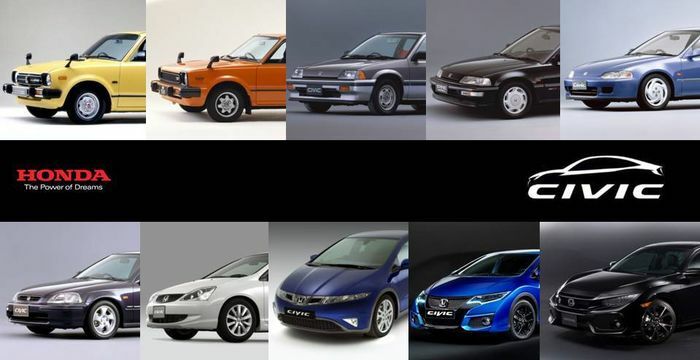 The Civic has a decades-long history of being the go-to reliable vehicle. There are stories upon stories of how long they can go (especially with proper maintenance) and that kind of longevity is exactly what makes it the best first car. Thanks to this longevity, there are always Certified Used Honda Civics here at Honda West that will serve you for miles to come. You want a vehicle that doesn’t cost an arm and a leg, but you also want to avoid purchasing something you aren’t sure you can depend on when your teenager is out on their own. 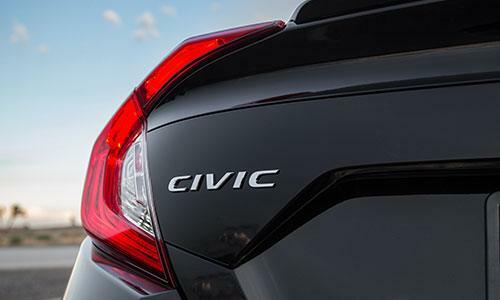 In every sense of the term, the Civic is a truly efficient vehicle. In econ mode, you can easily get around 700 kilometers out of a gas tank that takes about $50 a fill. That means you and your teen can rest easy knowing you wont be spending a fortune on gas. The Honda Civic is usually quite inexpensive to maintain, service, and is generally easy to obtain parts for as well so we have you covered if anything goes wrong. Above all things when it comes to our loved ones, safety is top of mind. We are pleased to tell you that the Honda Civic is equipped to the teeth with safety features. The Honda Sensing suite, Blind-Spot Camera, Adaptive Cruise Control, Lane-Keep Assist, and Back-Up Camera all marry together to give your teenager 360 degree control and awareness at all times. Our eyes should always be on the road but that of course isn’t always the case, especially when it comes to brand new drivers. 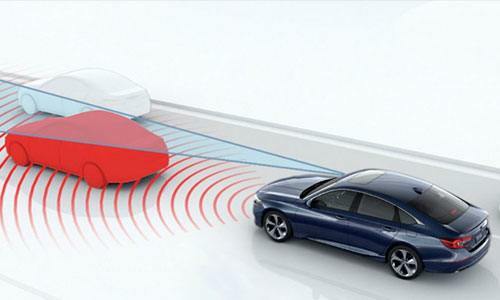 That is why it is good to know that Honda will have a second, and third set of eyes keeping your loved one safe. If there is one thing your teenager is going to be impressed with when it comes to Honda Civic, it is definitely all the amazing tech gear it comes equipped with! The Civic has a deluxe entertainment unit with a massive screen, USB ports, Apple Car-Play, Android Auto, Heated Seats, and the list goes on. The hands-free features and voice recognition make it easy for you to call your teenager and be sure they aren’t driving distracted. On the other hand, it makes sure that they can contact you safely as well. If their phone is paired through Bluetooth, Honda Link can automatically send an emergency call if an accident is ever to occur. Obviously getting the most bang for your buck when it comes to your first car is important. 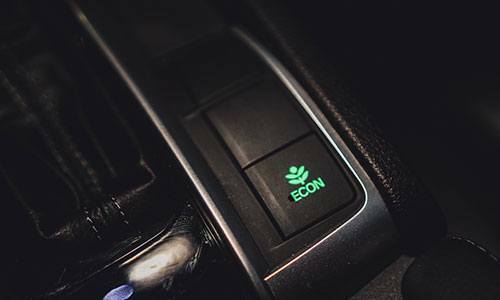 The Honda Civic not only saves you money and gives you peace of mind, it’s stylish too! Both the Sedan and the Hatchback have a fresh and sleek body and the interior is completely smooth and well-designed and it only looks cooler as you get into the Sport models. Hey, it might not be on top of your list as a parent; But it might be pretty high up there for your teenager to look cool in the car they will spending their high school years with. 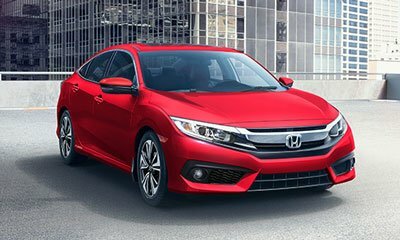 Summing it all up, the Honda Civic has been around since 1972 and has been the #1 selling car for 20 years in Canada for a very good reason. You don’t keep a brand and a legacy going that long unless the customers are loving it. It’s a car your know, it’s a car you love, and above all it’s a car you can depend on for years to come. Check out our inventory, or book a test drive to see for yourself!